Silvestre Dangond and Nicky Jam perform during the 2015 Latin Grammy Awards at the MGM Grand Garden Arena in Las Vegas. 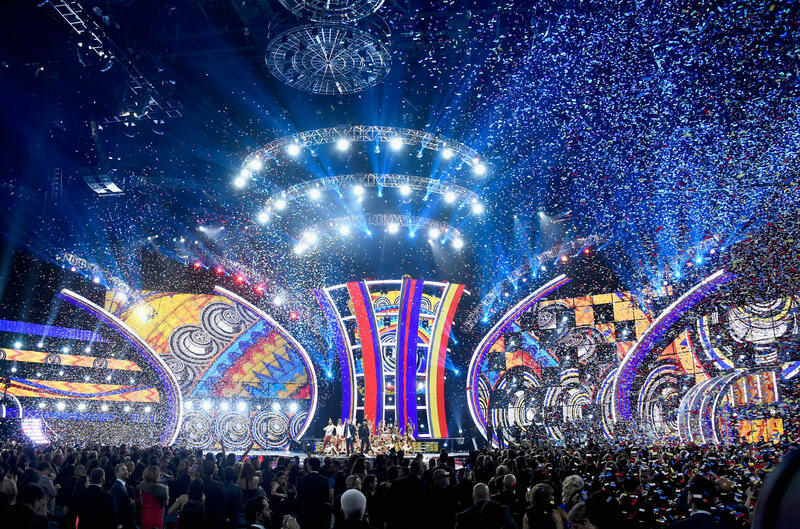 Latin Grammy awards are awarded in over 48 categories. The one that get the most recognition are, of course, the popular music categories. But I always find myself scanning way down the list to find new and fascinating sounds that I would never be exposed to otherwise. This week, Rachel Martin and I explore some of the classical, folk and and children's music up for Latin Grammys at this year's awards on Nov. 17. Hear our conversation on Weekend Edition Sunday at the audio link, and check out the music below. We're going to talk about down-ballot contests now. I'm sure everyone is tired of hearing that phrase and anything else associated with the upcoming election. But we're going to throw it at you one more time, this time with Alt.Latino, question mark? Felix Contreras is here. Felix, you don't - we don't usually bring you in to talk about down-ballot anything. FELIX CONTRERAS, BYLINE: Well, this is very important because next Sunday are the 17th Annual Latin Grammys. And so what I did was - this is a down-ballot on the Latin Grammy nominations, OK (laughter)? MARTIN: Ah, you're clever. You're clever. CONTRERAS: ...All those guys, right? OK.
MARTIN: Those poor down-ballot guys. Let's give them some love. CONTRERAS: But it's also where some of the more interesting music and stories are. MARTIN: All right, so what are we listening to right now? CONTRERAS: OK, it's all the way at the bottom of the nominations. There are 48 categories. This is from number 45. CONTRERAS: OK? The best engineered album, OK? CONTRERAS: This is an album called "Delirio." It's from a Brazilian singer named Roberta Sa. ROBERTA SA: (Singing in Portuguese). CONTRERAS: What you hear is an explosion of percussion and melodic instruments. And the academy thought that these engineers deserved recognition for making it sound so alive. MARTIN: All right, that was a nomination from the best engineered album. What category are we going to next? CONTRERAS: Number 43, best classical contemporary composition. MARTHA GUTH: (Singing) Let my heart (unintelligible). CONTRERAS: The album is called "Beyond The Silence Of Sorrow." The composer is Roberto Sierra, and the artist is Maximiano Valdes, conducting the Puerto Rican Symphony Orchestra. The vocalist is Martha Guth. Roberto Sierra is a prolific composer from Puerto Rico working in classical music but also mixing in a lot of Afro-Caribbean influences. We featured him on a show recently about classical music from Latin America. This is a composition that he did on a thematic album that relates back to his own personal feelings and his own recollections about Puerto Rico. GUTH: (Singing) Heal my heart. MARTIN: Wow. That's different than what you usually bring us. CONTRERAS: Yeah, it's a wide mix of stuff. And that's one of the joys of what I call mining in those lesser - quote unquote, "lesser" categories because there's just all kinds of great music and a lot of prolific people, a lot of very talented people working that are beyond the pop realm, which gets all the attention and gets the television coverage. MARTIN: Yeah. So you find stuff even you haven't seen before or heard before. CONTRERAS: Oh, that's - completely. I'm not even close to being as knowledgeable (laughter) as you give me credit for. MARTIN: I don't know, Felix. You're my guru. CONTRERAS: But there's a ton of great stuff down there. MARTIN: All right, so speaking of learning new things, I understand we're going to get a little Spanish lesson right now. 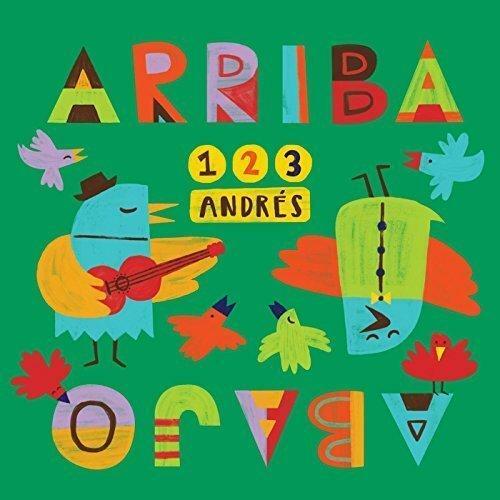 CONTRERAS: Category number 41, the best Latin children's album. 123 ANDRES: (Singing in Spanish). CONTRERAS: This is called "Diez Pajaritos," and the artist is 123 Andres. CONTRERAS: He's very innovative. He's very creative. He uses his great melodic sense to play music that, you know, our smaller kids will appreciate and learn. They can learn a language. They can learn counting. They can just sing along. MARTIN: I love it. OK, finally we're going to move up the ballot to category 27. Which category is this? CONTRERAS: This is best instrumental. And it seems to be sort of a catch-all category because there's all kinds of styles and genres. What we're going to hear is something from Brazil. This album features the string instrument tradition of Brazil. The artist is Hamilton de Holanda. He plays an amazing mandolin. 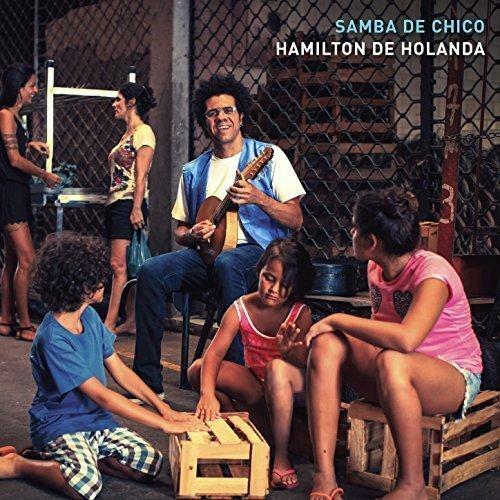 And the album's called "Samba de Chico." MARTIN: Yeah, I love it. CONTRERAS: Yeah. And it's all instrumental. MARTIN: As always, you've brought us all kinds of new stuff. Felix Contreras educating us about the down-ballot - not in the election, but in the Latin Grammys. Felix, thank you so much. (SOUNDBITE OF HAMILTON DE HOLANDA'S "SAMBA DE CHICO") Transcript provided by NPR, Copyright NPR.